How to Change IMEI Without Rooting itel, tecno, infinix, gionee. Home / android / how to / How to Change IMEI Without Rooting itel, tecno, infinix, gionee. Changing IMEI in non-rooted Android phones is very possible. This method shows you how to change the IMEI of your itel, Tecno, Infinix, Gionee and all MTK-powered phones. We assume that you are using a dual sim phone. 7. Locate the search box beside “AT+” and type in any letter. 8. 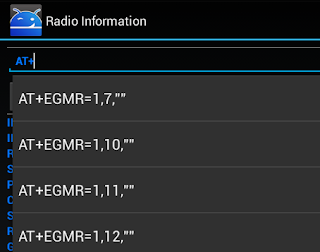 After typing, delete the letter you just typed and tap on Phone1 to display this info: AT +EGMR=1,7,”” . Tap to select the first suggestion. 13. When you get the message, it means the IMEI has been changed successfully. If your device is rooted, this second method makes it even easier. 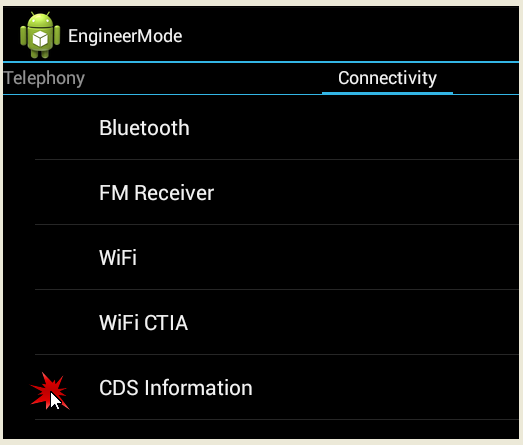 This method uses the Chamelephon app to change your IMEI in just 6 steps. Just follow the steps correctly. 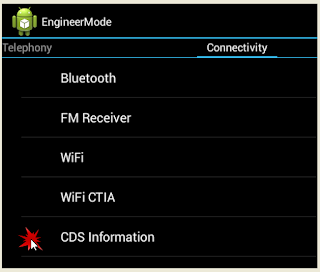 This eliminates any need for engineering mode procedure or CDS information. 1. Download Chamelephon here (0.3mb) and install on your device. 3. If you are using a dual sim phone, you will see two boxes. The first box is for SIM 1 IMEI while the second box is for Sim 2. 6. Enter the tweaked IMEI number in the correct box depending on which network sim you wish to tweak. 7. Then click “Apply New IMEIs”. 8. 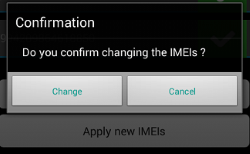 On the pop up dialog box “Do you confirm changing the IMEIs?”, just click on the “Change” button. 9. Close the app and restart your phone. 10. After restarting, dial *#06# to view your tweak IMEIs. Please note that changing IMEI is illegal in some countries (check your local telecom regulations), as such, we advise you to backup your original IMEI (copy it down somewhere) and reinsert it back when the promo ends. ITy UNIT or its authors are not liable for any malfunction of phone or any loss of data (if it ever happens) when using any of the method here. USE IT AT YOUR OWN RISK!